MOJANG has just announced (on 8/15/2016) that Minecraft is now Oculus Rift ready in its latest Windows 10 Edition Beta. 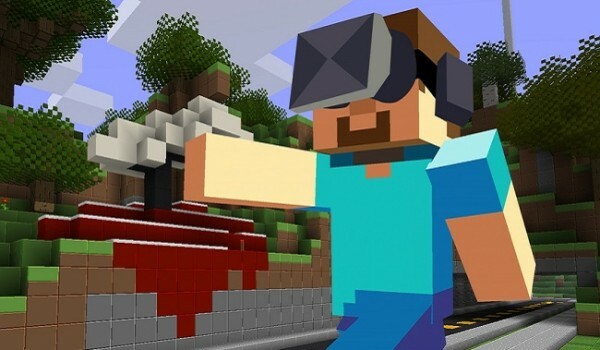 Months after its last VR-esque release on Samsung's Gear VR for Minecraft Pocket Edition, MOJANG jokes that they tricked their programmers back into the developer's lab to churn out another update. "...we tricked them back into the Coding Pits by saying we’d spotted a Mewtwo in there and quietly barring the door. Since then, in exchange for scraps of old meat dropped from an overhead grill, our heroic team have worked relentlessly to further tweak and refine the experience, making our Oculus Rift feature-set even more impressive. Well done, team! Double gristle rations for everyone! By the way, Owen tells me he spotted a Porygon in the Quality Assurance Gulag." So, what is it about this game that has made it such a timeless success within gaming? Even though the game was first released in 2009, the developers have not let this game become lost to time or old technology. It is also available on pretty much any device that has an OS and a screen. No joke, Minecraft is everywhere – Android, PlayStation (3, 4, and Vita), iOS, Xbox (360 and One), Wii U, Windows, Windows Phone, OS X, and Fire OS. MOJANG also claims it has sold over 100 million copies, as well. I guess it has stuck around for so long because pretty much everyone owns it, all the updates are free, and the mod community is creating new game modes and assets constantly. The VR headset acts as the camera view now so the player can look around independent from what action they are preforming. For example, mining a block in front of them and looking to the side to check for zombies. Players can also choose to navigate the game with a keyboard and mouse or an Xbox One controller. Don't worry, this VR game doesn't require the player to stand up or physically move around – it is the perfect at-desk VR game. Check out this unlisted video TeamMojang put on their website. This four minuet video talks about the cool new update as well as some interesting problems that they had to solve in order to make Minecraft VR friendly. Lastly, minecraft.net has launched a new VR page to keep everyone updated on their VR projects.